@LilCricketPa And how can I ask them a question? In case anyone didn't notice, the Cinema is currently awarding a guaranteed gem for each ad for two days. If you miss no collection (every 8h), it is 6 * 15 = 90 gems! SP didn't have this event during the last heroic race - so it's been two months since the Freebies island was so generous. Did you get 45 gems from one more day of gem-only ads yesterday? 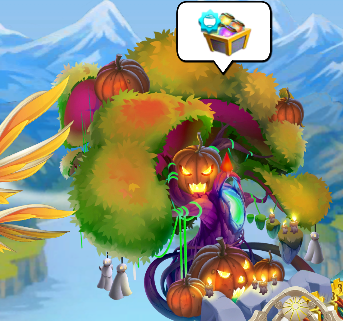 Today, the cinema surprised me with a Striking dragon in one of the chests. I already have one, but it was a suprise nevertheless - the island's description doesn't say it's giving away any dragons. @Stilor wow lucky you, I didn't get any dragons. 430 Atomic cells, how many have you collected? These orbs are getting beyond annoying. In fact I have no intention of doing the videos, trying to get gems are not worth getting all those useless orbs. @Nynaevelan 510 at this time, though I did get Grumpy in the last batch of Turbo island videos. Lucky you, I kept watching hoping for it but nope just kept getting Atomic orbs. And that is with me skipping a set or two, something I usually never do. I am not going to bother with the DS vids.